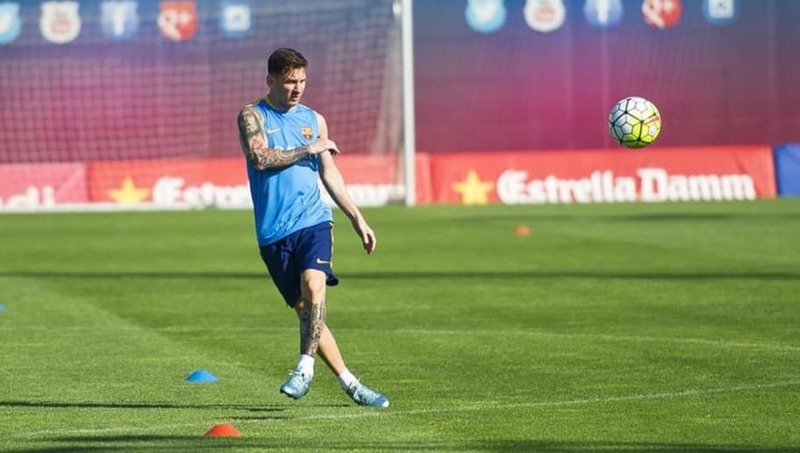 ​After being forced to watch his Barcelona side from the sidelines ​in their 1-1 draw against Inter Milan in the ​Champions League on Tuesday, Lionel Messi returned back to Catalonia and trained alone on Wednesday while the rest of the team were given a holiday. The Argentine suffered an arm fracture in Barcelona's La Liga match against Sevilla at the end of last month and was ruled out for the clash against Inter for that very reason. Barca coach Ernesto Valverde confirmed after the game that he could not risk Messi against Inter, something that the player too understood. As per the ​Daily Mail, Valverde stated, "It was a decision shared by the team. We couldn't risk Messi." He continued, "We wanted him to train with the team but training isn't the same as playing. We were careful in training, but we knew that today's match would be like how it was with the intensity that there was." Messi still traveled for the game in order to support his teammates and then also turned out for his recovery training the next morning straight after arriving back in Barcelona from Milan in the early hours of Wednesday morning. The Argentinean is trying to make himself available for selection for Barcelona's clash against Real Betis even if it means training alone.